Since humble beginnings in 1983, KKKL Express has been dedicating express coach services to their passengers. KKKL coaches provide passengers with the safest and most comfortable journey possible, connecting passengers to main cities, channelling them to their destinations. KKKL Express has also come a long way from running a mere 44-seater unit and numerous factory buses. Today, KKKL operates over 100 coaches comprising of their famous executive coaches, Super VIP double deckers and more. KKKL offers an extensive range of route services. Their main destinations and routes include major cities in Peninsular Malaysia such as the ever popular back and forth trips from Kuala Lumpur to Singapore as well as trips from Singapore to Port Dickson and Melaka. KKKL Express has included their new First Class Edition 18 seat LCD coaches to meet the needs of their customers who desire a more luxurious and comfortable coach travel. Their coaches are also blessed with air-conditioned services with reclining seats and ample legroom. 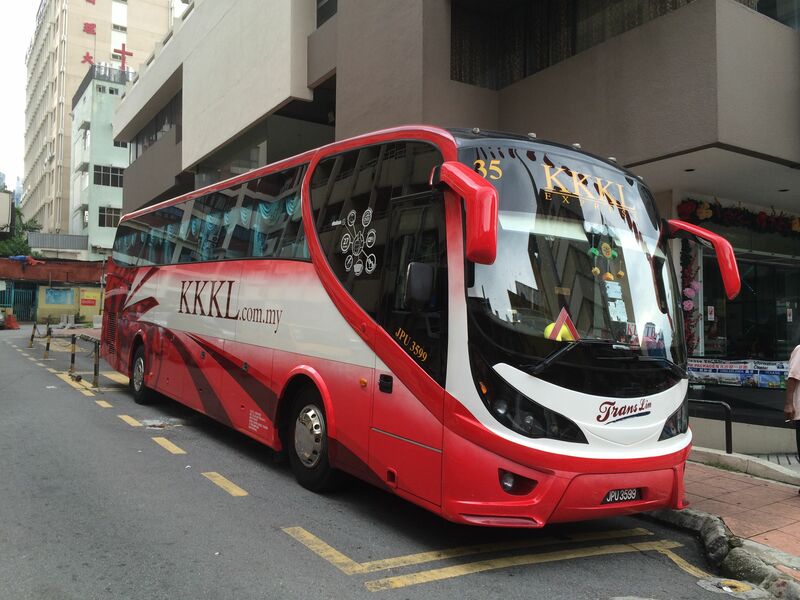 KKKL also run double-decker buses without compromising the similar levels of comfort. There are many reasons to book your bus journey with KKKL. Aside from being among the leading and established operators in the industry today, KKKL offers comprehensive routes along various highways within Peninsular Malaysia and Singapore, operating at many famous bus terminals in these parts. CatchThatBus offers online bus tickets to many routes covered by KKKL as well as seat availability features. You can book your bus ticket online from our website or via mobile app which can be downloaded for free on Google Play or App Store.